Recently, one of my fellow gaming critics pondered what the point is of posting a list of the year’s top games in November, saying that it’s “a lot like quitting a marathon right before the finish line.” And more than ever does a statement like that feel true this year. Sure, one could argue that we didn’t see the surprise launches of Ashen and Below coming. But even ignoring those (and Super Smash Bros. Ultimate), there’s been a lot this month that one should not overlook. Dusk, Kingdom: Two Crowns, Mutant Year Zero: Road to Eden and Battle Princess Madelyn are but a few reason not to count chickens before they hatch. And then there’s GRIS. Nomada Studio’s colorful, astonishing platformer is basically the exact reason you don’t count out December. It’s an amazing journey that cannot be missed out on. Told entirely without any dialogue, GRIS is a story of a young woman’s quest that starts out vague. All we know is that things suddenly crumble apart and our heroine is further thrust into a dreamlike world. It is a journey about her dealing with a painful experience and even that you would only get from the game’s official description. But while the details behind this saga become clearer as you reach the end, you don’t need a full analysis of the trek to enjoy it. The game also gets across its emotional core amazingly well regardless, delivering some impressive moments in the story. But at its barest, what we have is a tale of a girl that gradually restores color to the lands around her. And while that may sound a bit simple, it’s executed perfectly. 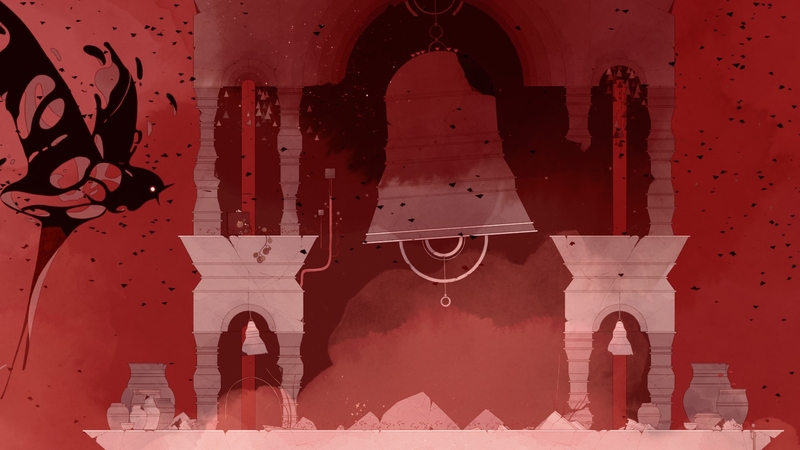 The main reason why the execution works is largely due to the world of GRIS. And I’m just not speaking about the fact that it is mind-blowingly gorgeous, although that is a huge part of it. It may say a lot that I took over one hundred and seventy screenshots of this game in an attempt to capture its most striking moments. And even then, mere screenshots alone don’t do things justice. You really need to see GRIS in action. The fluid, jaw-dropping animation! The bursts of watercolor artwork! The terrific use of specific color schemes for each area! The huge shift in tone when a new color is added! It’s just breathtaking stuff, plain and simple. But the reason the graphics succeed so much is that they’re used to create the portrait of such an incredible world, one that’s filled with life and energy. Various ruins dot the land, ranching from abandoned machinery and temples to rocks suspended in midair. But also one where square trees smoothly shift in and out of existence. Small, bizarre creatures subtly putter across the landscapes. 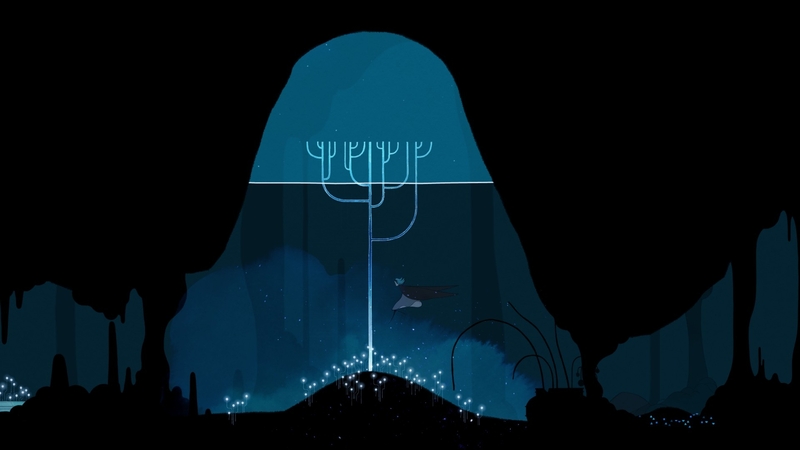 Bioluminescent areas in underwater caves light up as you pass them. And it has a somewhat Moebius-esque vibe to it all, with eye-catching scenery and setpieces, and a terrific emphasis on straight lines and angles that enhances the more mysterious, unnatural aspects of it all. I actually don’t even want to go into further detail, lest I run the risk of spoiling the larger spectacles. All that needs to be known is that this is one stunning and inviting universe. And of course it helps that the various quirks of this world tie in perfectly with the gameplay mechanics. The main hook is that our heroine’s dress adapts to the reality around them and grants new abilities as you progress. It starts by crafting a heavy weight that can smash through floors and withstand strong winds. Then it goes into a double jump as more elaborate platforms appear into existence. Head into underwater sections, it creates a fish-like form for swimming, and so forth. Adapting to abilities is easy-peasy, and the controls are rock-solid. It’s the exact type of simple yet highly fun platforming that anyone can get into. 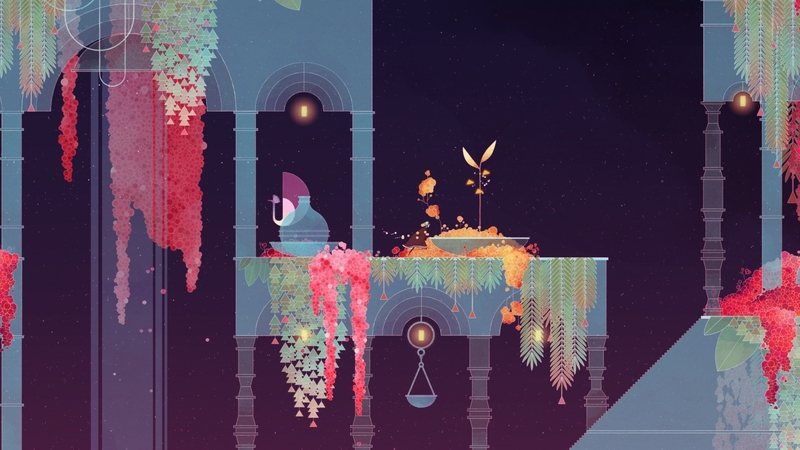 The challenge level for GRIS also hits that perfect sweet spot as well. You have some incredible platforming sections that require great timing, in addition to areas requiring you be launched into the air and into the likes of gravity-shifting borders or underwater sections suspended from the ceiling, which are terrific additions that provide a more traditional experience. There’s a host of various puzzles that require perfect use of your abilities and even a couple of boss sections. The challenge isn’t the focus, of course, it’s all about the atmosphere and the journey. But even as a platformer on its own, GRIS still has the type of easy-going, classic gameplay that appeals to everyone. Most of the more challenging moments, in fact, tend to be entirely optional. Each area has a select amount of mementos to collect and getting them can be trickier than expected. Even getting to them requires you properly analyze the area and find them, being expertly hidden. And even after that, you have to pull off certain maneuvers ever so perfectly. 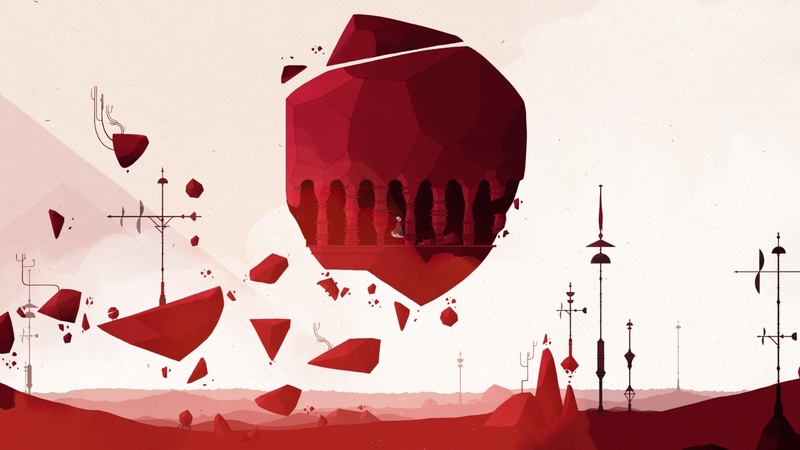 The mementos aren’t needed to complete GRIS, but they are an extremely welcome touch, another layer of enjoyable puzzles. It adds to the game’s replayability. 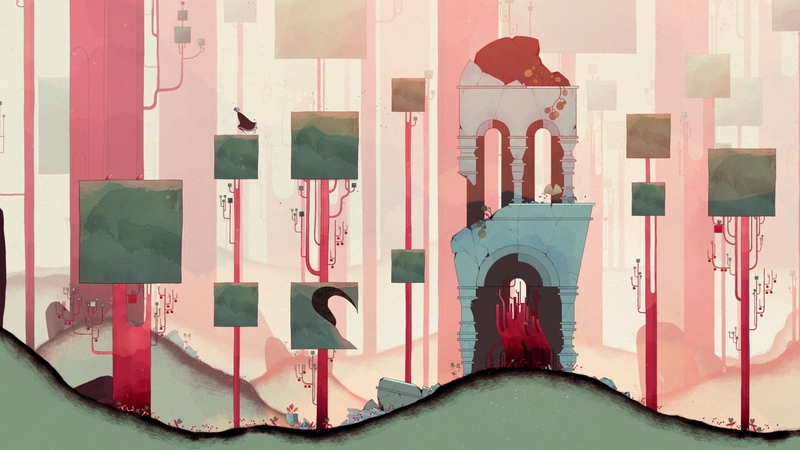 But while GRIS does do a great job when it comes to world-building and enjoyable puzzle design, there are those who may indeed be turned off by the fact that the game only lasts a few hours. 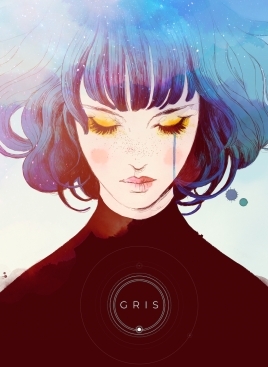 Mind you, GRIS does everything it needs to do in those few hours, especially when it comes to telling a compelling story that’s just the right length, yet while there are mementos to add to the replayability, you still can’t help but feel like it ends a bit too soon and that it leaves you wanting more. And thank god, because I invented that template for atmospheric puzzle-platformers over a year ago in our Black The Fall review and I’ve been looking for an excuse to use it again. Yes, GRIS does fall victim a bit to the reoccurring sin that the subgenre has. That said, I would like to emphasize the “bit” part. In fact, I was shocked that my play time of a couple of hours was shorter than what I thought. GRIS may be a short game, but like any great game in the genre, it doesn’t feel short. It excels in making everything feel epic and large in scale when needed. There are the obvious epic bits, like the shadowy boss figures, but even just seeing how a new color alters an entire area is a sight to behold. And then there’s the way scale is used, displaying as much as possible while minimizing the main character when needed. It makes every area feel gigantic while never harming gameplay. One could even say it represents feelings such as loneliness or emptiness, present in our heroine. And it may still be even larger than one expects. I should note that I still have ten hidden achievements yet to be uncover, suggesting that there’s still more beyond the main portion of the game that could affect its length. And you can’t help but feel an urge to make a second playthrough. Not just for any mementos yet to be uncovered or hidden extras, but also seeing how each area ties into the overall theme and the significance of everything. There is indeed a lot to work with here, a lot to unpack and analyze. And again, it’s all just so enjoyable. Now, GRIS does have a couple of other minor issues beyond length. The scenery may be gorgeous, but there’s the occasional moment where it isn’t clear if you can pass through something. You may find yourself tricked by a column you thought was in the foreground. It’s also the type of game that doesn’t exactly communicate a point of no return that well. So your search for mementos may be impeded if you took the main path. And without spoiling anything, there’s one mechanic that could be explained slightly better. But these are all minor niggles that rarely affect the overall experience, if at all. GRIS is, simply put, one of this year’s masterpieces. Both in the sense that it looks like a work of art and plays like an absolute dream. The platforming is smooth as silk, the world is a joy to explore, the puzzles offer the right amount of challenge and the emotional parts of the journey hit perfectly. It’s a dynamic, creative fantasy tale that knows how to expertly mange action with downbeat moments and everything in between. Overall, it’s just one terrific escapade with a nice amount of variety that you absolutely need to experience. A well-needed burst of color for our lives, indeed.